Orlando is the theme park destination of the world, home to Disney, SeaWorld, Universal Studios, Legoland and more. 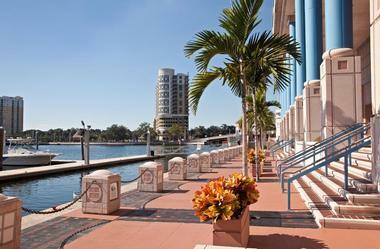 Tampa is an equally fun place to visit, offering Busch Gardens, Florida Aquarium, and sandy beaches. 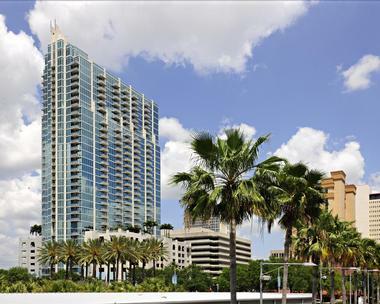 Located in central Florida, Orlando is a hot spot for vacationers and business travelers alike. Aside from the renowned theme parks, Orlando has much to offer in the way of hotels, restaurants, theaters, and dinner shows. Orlando is just about 85 miles from Tampa. Traveling between these two cities is about as easy as it comes. Plane, train, bus, you can take it from one city to the other. How far is Tampa from Orlando? The distance from Tampa to Orlando is about 85 miles. Orlando International Airport is a busy place, serving over 40 million passengers a year. Experienced in serving domestic and international travelers, the Orland International Airport sees flights from 42 passenger airlines daily. Unfortunately, there are no non-stop flights between Orlando and Tampa. Flights with one stop are available with prices starting at about $264. There is plenty of parking at the Orlando airport; some lots are even free (farther out but with shuttle service). The economy lots start at $10 and garage parking starts at $17. Valet parking and car detailing is available as well. Electric vehicle parking is also available to charge one’s car while away so it is ready upon return. 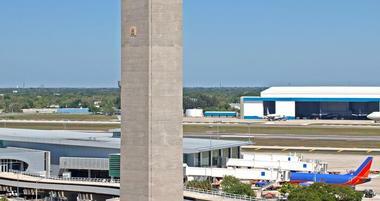 The Tampa International Airport is also a busy airport. Located on the Gulf side of Florida, this airport offers a beautiful Gulf view as one flies in over Tampa. Featuring plenty of shops and restaurants, the Tampa airport is very modern and fun. One will find plenty of options at this airport including ground transportation from rental cars to taxis to shuttles. Amtrak offers train service between Orlando and Tampa on the 91 Silver Star. Fares for the two hour trip start at $12 for a coach seat and go up to $186 for a Viewliner Bedroom compartment complete with en suite bath room. There is no dining car on this train, but a café/lounge car serves up sandwiches, pizza and other snack foods. Soft drinks, beer, liquor and wine are available. If one would like to bring a bike on the train this option is available for an additional $20. There are limited spots so reserve early. Greyhound Bus Lines offers roundtrip service between Orlando and Tampa for as low as $10 one way. Depending on stops, the trip takes between one and a half hours to two hours. With early morning departures and evening returns this may be a perfect route for business travelers. The buses of today are packed with upscale features and technology. The services and amenities offered on Greyhound bus trips today are far superior to bus trips of yesteryear. Personal, adjustable air vents; bath room on board; wheelchair lift and seating space; one’s choice of seat; priority boarding for certain classes of fares; and overhead storage – all included for the traveler’s comfort and convenience. Other perks include free Wi-Fi, extra leg room, reclining seats, and 3-point safety belts. Greyhound also delivers packages. If one enjoys traveling by bus, Greyhound offers a generous reward program as well. 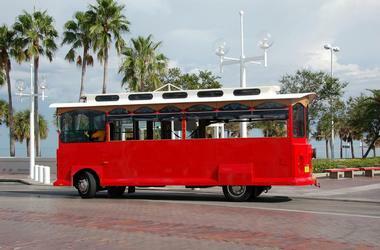 The Florida Express Bus has service from Orlando to Tampa with three runs daily. The trip takes about two hours. Fares begin at $55/person. One carry-on and one checked bag are included. For more luggage the price is $10/per piece with a maximum of 5 pieces. Express Transportation is another shuttle service that runs between Orlando and Tampa. Phone: 813-731-9283. 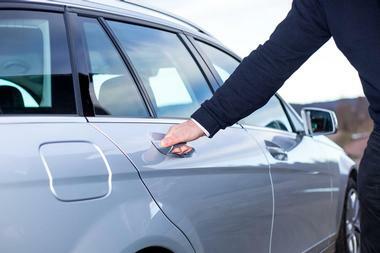 All the major car rental agencies are available in Orlando. Rent a car or use your own, the trip from Orlando to Tampa by car is a straight shot on beautiful I-4. Just about 85 miles, this trip is quick and easy. Leaving Orlando one will discover routes to all the various theme parks. The roadways are well marked, but one needs to pay close attention or they may find themselves in line at a park they didn’t intend to see. The major, renowned theme parks such as Disney, SeaWorld, Legoland, and Universal are quite evident but there are other great attractions as well. For history buffs there is the Titanic Exhibition featuring actual artifacts from the ship. For the adventure seeker Discovery Cove offers swimming with dolphins and snorkeling. For the shoppers in one’s group there is the Orlando Vineland Premium Outlet featuring over 160 upscale outlet shops. Hours are M-S from 10 a.m. to 11 p.m. and Sundays from 10 a.m. to 9 p.m.
Orlando is also home to many, many resorts and luxury hotels. One can easily find lodging; many hotels offer packages that include tickets to a number of the local theme parks. Near the intersection of I-4 and Hwy. 192 are three golf courses: Waldorf Astoria Golf Club, Falcon’s Fire Golf Course and Celebration Golf Course. · Waldorf Astoria Golf Club: This course was designed by Rees Jones. The par-72 course has a rating of 74.6 and a slope of 139. Rates for 18 holes start at $60. · Falcon’s Fire Golf Course: Also designed by Rees Jones along with Greg Muirhead, this course was named the Best Public Golf Course in Orland for 2015. The par-72 course has a rating of 73.2 and a slope of 135. Rates start at $35. · Celebration Golf Course: This course was designed in tandem by Robert Trent Jones, Sr. and his son of the same name. The par-72 course has a rating of 74.5 and a slope of 140. Rates start at $29. As one nears Lakeland one will find the Fantasy of Flight Museum; exit onto Hwy. 559. The museum features historic military and commercial aircraft. Admission is $12/adult and $8/children. Next up is Dinosaur World; an outdoor park featuring over 200 life sized dinosaur replicas. Exit on to North Branch Forbes Road. Tickets start at $16.95/adult and $11.95/children; military and senior discounts are available. Hours are daily 9 a.m. to 5 p.m. There is no food service at the park, so plan ahead. 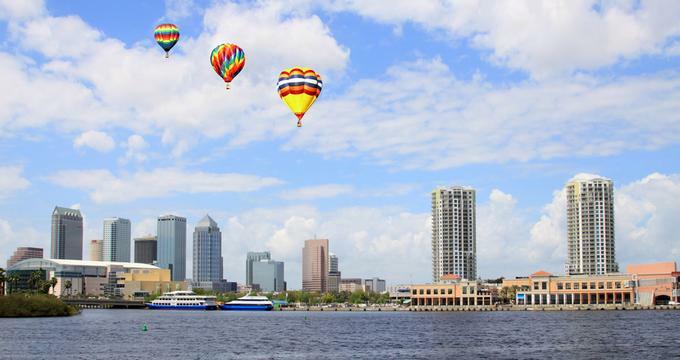 Now entering Tampa, there is a diverse list of things to see and do. Tampa is home to eight beaches where one can have some fun in the sand and surf. Also available are fishing tours, boat trips, theme parks, zoos, shopping, golf and so much more. Tampa is of city of culture and history. These features are evidenced in the variety of cuisine available in this cosmopolitan beach city. Featuring seafood, farm to table, authentic Spanish dishes and fine dining get out enjoy the flavors of Tampa. Fresh produce is available almost year round; orange groves, strawberry fields, tomato patches and more. Enjoy a day at the farm and pick your own fruit and vegetables. There are several U-Pick Farms near both Orlando and Tampa. How far is Orlando from Tampa? The distance from Orlando to Tampa is about 85 miles. Google Maps details three distinct bicycle routes from Orland to Tampa. The official Florida Bike Trail website has numerous trails in and around Orlando and Tampa, but nothing listed from one city to the other. This writer found a route on Map My Ride. The trail is 107 miles long and takes scenic back roads through beautiful lake county. No formal walking trails exist between Orland and Tampa; however Google Maps lists a walking path that is mostly similar to the biking path. There are a lot of things to experience in Florida. The route between Orlando and Tampa is filled with adventures around almost every turn. Theme parks rule; but one can also find many off the beaten path treasures. Whether one wants to enjoy the masses at a favorite adventure park or take pleasure in a quiet beach hide away, there is something for everyone to do, see, taste and experience in Florida, the Sunshine State.